These black seeds produce edible pods that are green in colour. Bean pods can reach 3 feet in length and are round and thin. Late maturing variety. 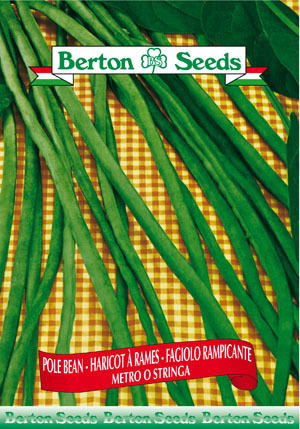 Sowing instructions: Plant seeds 1 inch deep from late May-June. Space seeds 2-4 inches apart. Space rows 36-48 inches apart. Harvest from July-September.